Officially Licensed!! 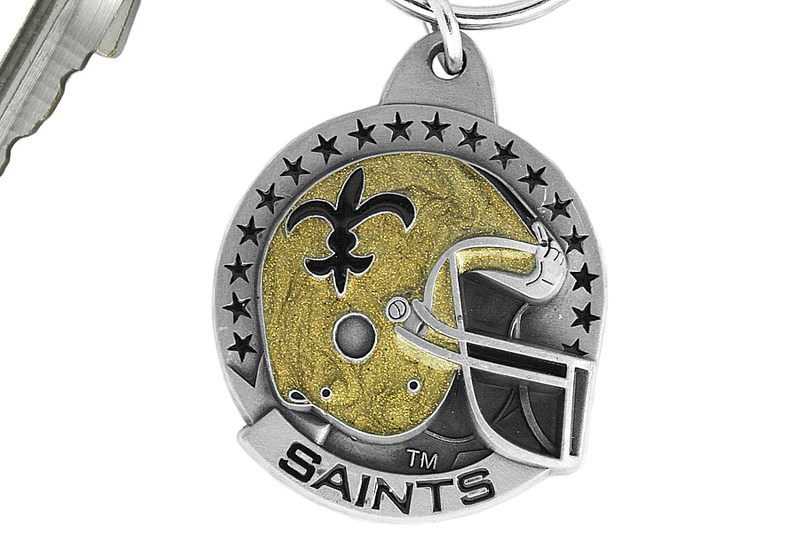 Matte Silver Tone Key Chain Is Decorated With A New Orleans Saints Helmet. Key Chain Measures 3" x 1 1/2".